The Orange County Human Rights Commission 2014 Awards Dinner was held on Thursday, April 10, 2014. Orange County Human Rights Commission Chair Fred Cook with honorees Rev. 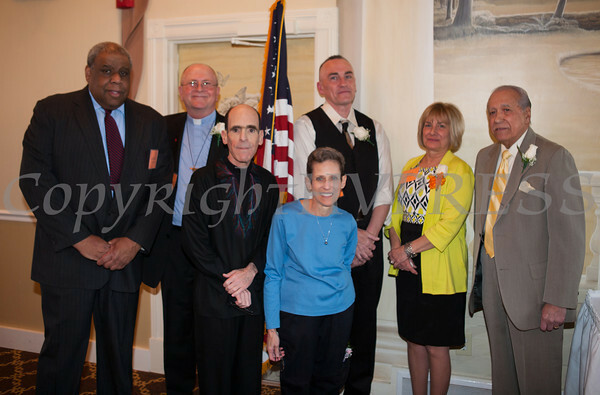 Stephen Ruelke, Glenn and Susan Dickes, Daniel Hutting, Patricia Fayo and Amado Valdes at the Orange County Human Rights Commission 2014 Awards Dinner held on Thursday, April 10, 2014 at The Fountains in Middletown, NY. Hudson Valley Press/CHUCK STEWART, JR.